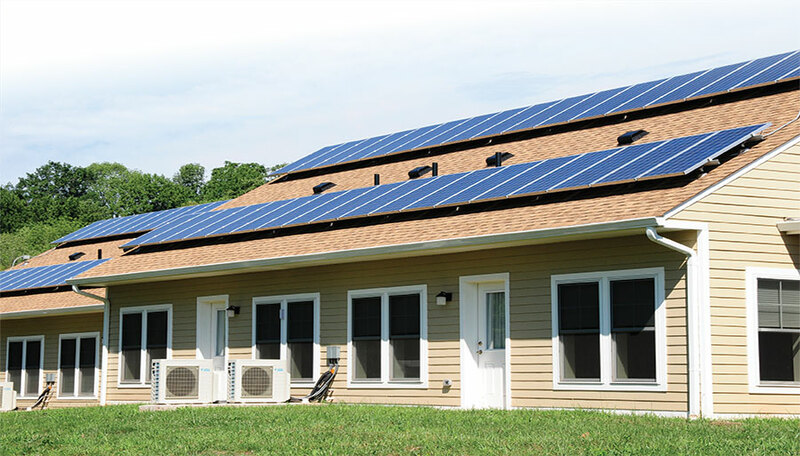 Cutting-edge HVAC systems were a key to designing The Meadows at Oldwick, a net-zero 18-unit assisted living center in New Jersey. Heating and air conditioning is individually room-controlled using Daikin ductless multi-split units. Ultimate Air Energy Recovery Ventilators (ERV) enhanced the energy efficiency of the project while simultaneously improving the air quality within each housing unit. Perhaps the largest factor driving ICF growth is their superior energy efficiency. This is due to the R-value of the foam and the airtightness of the walls. While reducing air infiltration is positive from an energy standpoint, it can be detrimental to indoor air quality. 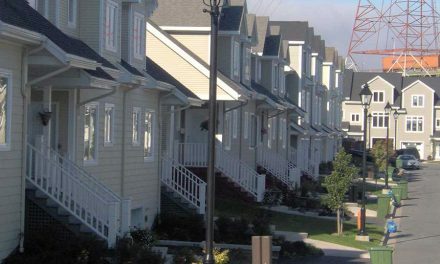 If super-tight ICF homes are not adequately ventilated, they may show increased levels of moisture, pollen and allergens, radon, carbon dioxide, and other dangerous gasses. The easiest solution—opening a window—does provide ventilation, but defeats the purpose of an energy-efficient shell, since the building’s conditioned air will escape and the building’s HVAC system must compensate. A better solution is mechanically controlled ventilation that uses the exhaust air to pre-condition the incoming stream. Heat recovery ventilators (HRV) and energy recovery ventilators (ERVs) both do this. They use fans to maintain a constant flow of fresh air into the house while exhausting the stale indoor air. The primary difference is that HRV systems transfer heat only. ERV systems efficiently transfer both heat and moisture content. When properly engineered, these systems can provide the optimal solution: better climate control, high quality air, and maximum energy efficiency. This attic-level ERV handles the ventilation needs of a 5,000 sq. ft. ICF residence in Dahlonega, Georgia. 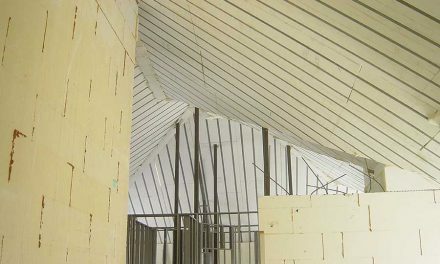 Note that all duct work is within the thermal envelope. It’s part of an energy strategy that keeps energy costs below $50/month. Whether whole-house mechanical ventilation is needed has been hotly debated in the ICF community for some time. One reason it’s difficult to pin down a straightforward answer is due to the number of variables involved. Climate is one variable. 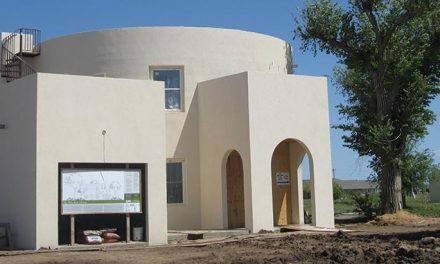 An ICF structure in Phoenix won’t have the moisture concerns that a similar home in Houston would. A home built in a high-wind area will have more air infiltration than one built in a calmer region. The biggest variable, though, is the home’s construction. While ICF walls are virtually airtight, a wood frame roof is not. Spray-on foam insulation reduces its permeability somewhat. A concrete roof is as tight as the ICF walls. The number and size of windows will also greatly affect a home’s air infiltration, as will the number of doors. Kitchen hoods, bathroom fans, chimneys, and the height of the house are also factors. Older wood-frame homes typically measure between 5 and 12 air changes per hour (ACH). Most ICF construction with a wood frame roof will measure between 1.0 and 1.5 ACH. Those with concrete roofs consistently measure as low as 0.15 ACH. A simple rule of thumb to determine whether additional ventilation is needed is to calculate the total wall area occupied by windows and doors. According to energy expert Richard Rue, the average house will have at least a 10% to 30% window to wall ratio. (That’s operable glass, not fixed glass.) If that’s the case, Rue says, “there is enough leakage through windows alone to make up for any air exhausted.” The most accurate method to determine a home’s airtightness is to conduct a blower door test. This will reveal exactly how many times each hour the air in the home is exchanged. This test will become mandatory for all new construction within months. 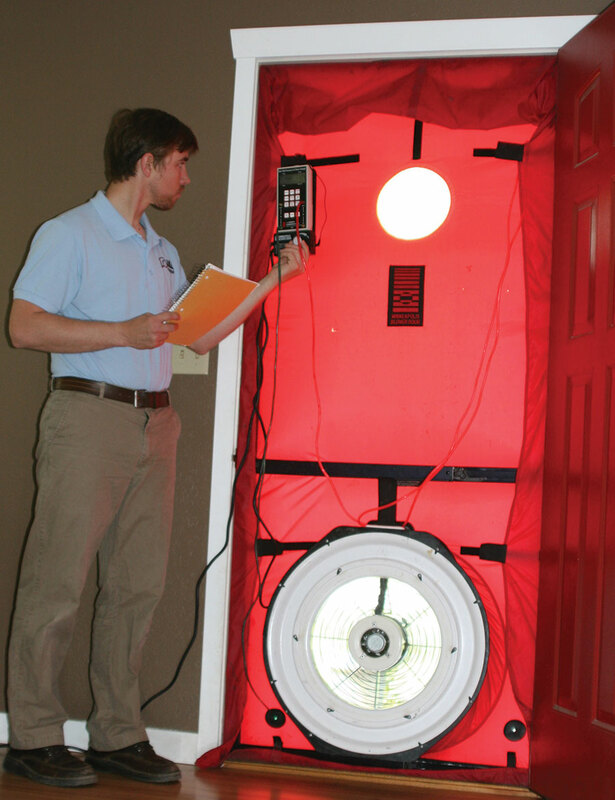 Blower door tests are the most accurate way to determine a structure’s ventilation needs. 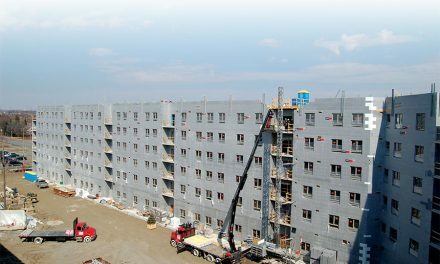 The 2012 International Energy Code requires this type of testing for all new construction. In Canada, air exchangers are already necessary, and have been required since 1995. Minnesota has required mechanical ventilation since 1999. Building codes are continually calling for tighter houses. Back in 2009 the International Energy Conservation Code (IECC) required new homes cannot have more than 7.0 ACH, and allowed for a visual inspection rather than a blower-door test to measure air tightness. Beginning this year, though, the IECC will require builders to conduct blower test and achieve a rating of not more than 3.0 ACH. On the bottom end, code requires the home to have a minimum of 0.3 ACH; this figure is standard in all North American jurisdictions. If ventilation—not energy efficiency—is the goal, one low-cost solution (less than $500) is “ventilation on demand.” While not as cheap as opening a window, these systems do have advantages. Like a bathroom vent fan, this system has a fan to exhaust stale air; the supply air is not fan powered. And similar to those fans, it can be switched on and off manually. Normally though, they’re coupled to a humidistat (to monitor moisture levels) or CO2 sensor for minimal additional cost, so they run automatically only when there’s a need. 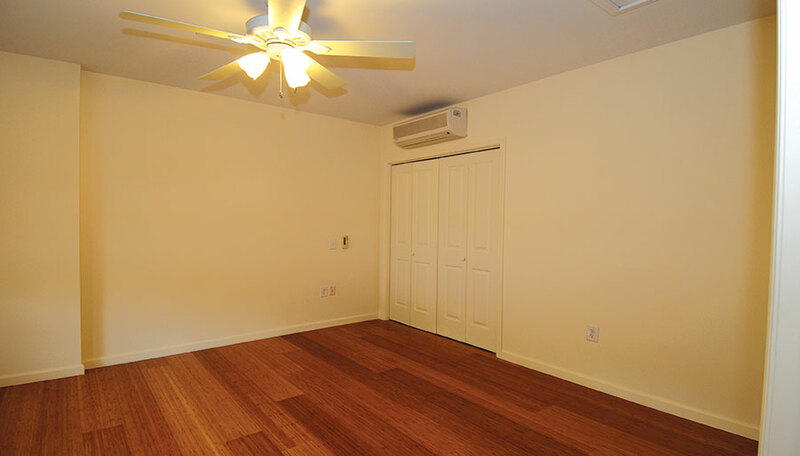 The Meadows at Oldwick eliminated all ductwork and controls heating, cooling and ventilation with high-efficiency through-wall units like the one pictured above the doorway. HRV and ERV’s are far more energy efficient that exhaust-only systems. These are “balanced systems” that use fans to provide both the fresh air supply and exhaust airflow. HRVs transfers heat only, and are a logical choice in the arid southwest and other regions where humidity is naturally low. Energy recovery ventilation (ERV) can deal with both heat and moisture, and are a better choice in humid regions. In warm months, the system pre-cools and dehumidifies; in the cold season, it humidifies and pre-heats. This diagram of an energy recovery ventilator shows how an array of conductive metal plates can use the embodied energy of the exhaust air stream to condition fresh outside air for temperature and humidity. He recommends asking the ICF manufacturer or distributor of the ICF products for a referral. “People who are selling you ultra-energy-efficient products should take responsibility for giving you the resources you need to achieve successful results,” he says. Rue’s firm, EnergyWise Structures, does consulting work of this type, with a guarantee that his client’s energy costs will not exceed his estimate. Locate the fresh air intake away from driveways and laundry and furnace vents. Install a supply inlet (dedicated inlet or heating register, if connected to forced air) for each bedroom and one for each common area. Install a return outlet in each high moisture area such as the kitchen, utility room and bathroom. Return outlets (pick up points) should be within one foot of ceiling and 10 feet away from an oven or cooktop, as vaporized grease could clog the energy recovery core. Keep duct runs as short and straight as possible. Use smooth, round ductwork when possible. Insulate intake/exhaust and any ventilation ducts in unheated spaces and seal all joints. Install a drain to catch any condensate, if required.